I have a disability policy that I’m paying in to out of my paychecks every week at work. I don’t feel well and I think I would like to stop working and try to open a disability claim. Should I call an attorney to see if I qualify for disability? Do these apply to your situation? Are you considering applying for disability through a private insurance company, commonly associated with a federal statute called ERISA? Disability insurance attorneys can definitely help disabled people obtain disability benefits, and there are issues like pre-existing conditions (http://www.benefitsdenied.com/pre-existing-conditions) which attorneys are ideally equipped to explain to someone who is confused about their disability insurance policy. But you should always begin any disability claim with a different professional – your doctor—because the basis for any disability insurance claim is medical evidence. Ask your doctors if they think you would qualify for disability. Here at Coffman Law, we are always delighted to discuss a strategy plan with anyone thinking about applying for disability or who has already been denied disability benefits, but your first stop should usually be your treating physicians. This is because unless a doctor says you are no longer able to work, the insurance company will likely deny your disability benefits. Also, when you obtain your disability insurance application, make extra copies of the Attending Physician’s Statement (http://www.benefitsdenied.com/attending-physician-statements). The more doctors supporting your disability claim, the better. 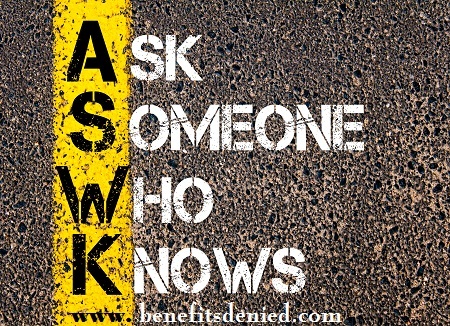 As always, if you apply for disability benefits and your claim is denied, please give our office a call if you receive a denial letter from the insurance company. We may be able to help you appeal your decision in a timely and orderly fashion. To learn more, read through our BLOG or website for more information on ERISA and long-term disability benefits.